The best street art doesn’t just brighten an otherwise drab urban environment (though that’s always appreciated), it also comments on the environment itself. And new pieces popping up from New York street artist Jilly Ballistic are taking brilliant swipes at one of the more annoying aspects of city living: insipid advertising. While Jilly Ballistic’s pieces might not actually convince anyone to not see, say, Step Up Revolution, due to critically low expectations (though the trailer seems to indicate that movie is, in fact, awesome), they at least provide a slight respite from the constant assault of marketing messages that bombard the captive audiences on the subway. 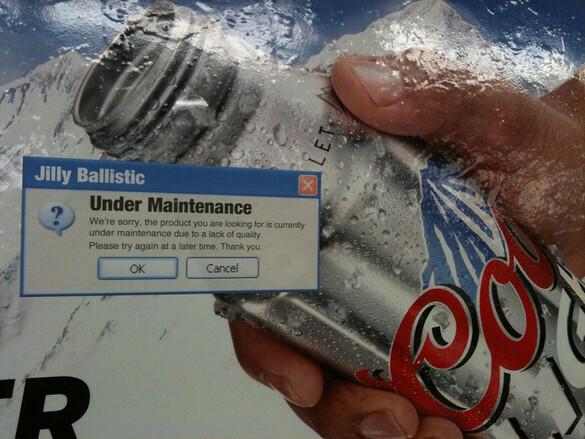 Perhaps, after banning soda, Bloomberg can mandate warnings on all advertising.